How about a drink with some soba noodles before dark? My absolute favorite way of enjoying soba noodles is with a drink. Drinking at a soba noodle restaurant is very chic. 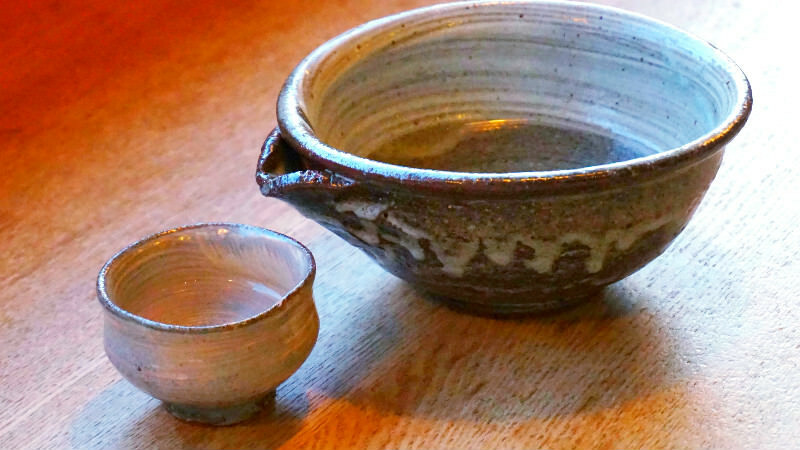 The roots of drinking at soba restaurants can be traced back 300 years. Originally soba restaurants were a bit like present day izakaya bars; an oasis for workers where you had a drink after work. In those days it was considered cool to go drinking after finishing your work early, so many people went to soba restaurants early in the afternoon to have a drink. This is said to be the beginning of the “sobayanomi” style of drinking at soba restaurants early in the afternoon. The rules of soba drinking are as follows: first get your body and mind slightly intoxicated before helping yourself to the main, the soba, and then when you are just in the right state of mind, jauntily leave the restaurant behind. Don’t stay too long; don’t drink too much. When you take the middle way in everything you do, you are vigorous and chill at the same time. This chillness is truly chic. In this part I am going tell you four ways to enjoy soba and a drink, and the best restaurants to do that. Isn’t it great you can have some traditional Japanese food and a drink before dark! I am sure that after reading this you will go to a soba restaurant and order a drink. Make a soba restaurant your own chic and cool bar! Right now you must be thinking of the proper way to have a drink at a soba restaurant. I am going to tell you just that! After having enjoyed temples and shopping in Kyoto, I am sure that a drink at a soba restaurant is just what you crave. I hope you will leisurely enjoy Kyoto’s afternoon at a soba restaurant! 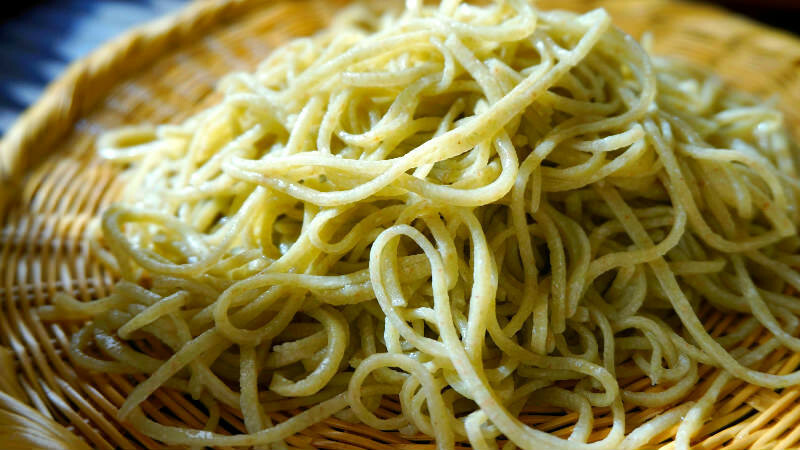 There is an old Japanese word called “sobamae”, meaning before soba. Sobamae means having a drink before eating soba noodles. As you can probably imagine, Japanese people have always cherished the time before eating the noodles. So the real charm of having a drink at a soba restaurant is there before you eat your soba! When going into a soba restaurant, first order a drink and some snacks, and wait for your soba to arrive. 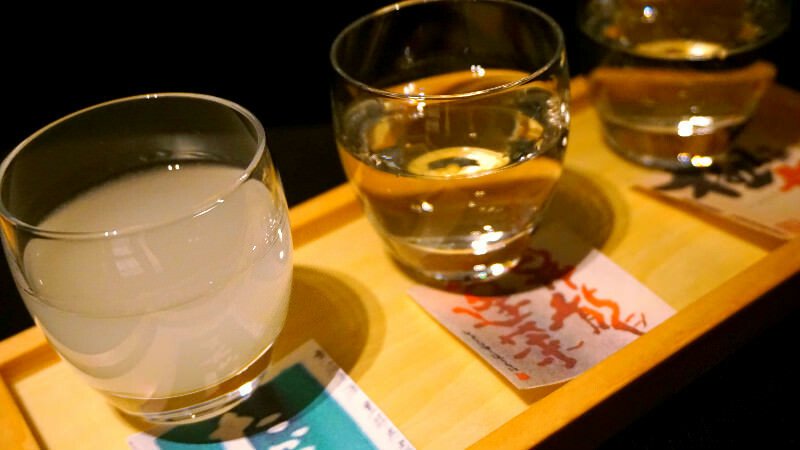 Check: The drink you order has to be sake! For Japanese food that is seasoned with mirin (sweet sake) and cooking sake, sake, or nihonshu in Japanese, goes with it the best. Soba and the snacks offered at soba restaurants are the same. 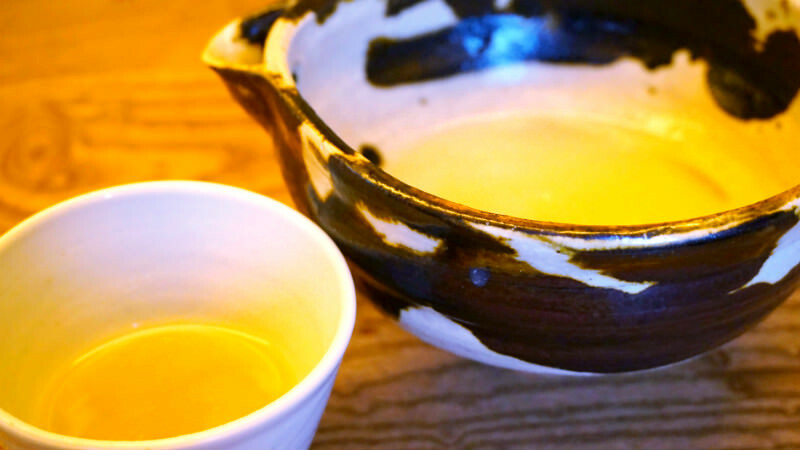 The sake that brings out the true flavors of the dishes is crucial for your experience. Good soba restaurants have sake from all over Japan. The dishes at soba restaurants are usually quite light in taste, so the sakes on offer are usually easy to drink. I hope that your first drink at a soba restaurant will be sake. First you want to get mentally ready for your soba noodles. So when ordering a snack to go with your sake, go for something light that will be served quickly. My recommendations are “itawasa” and “sobamiso”. 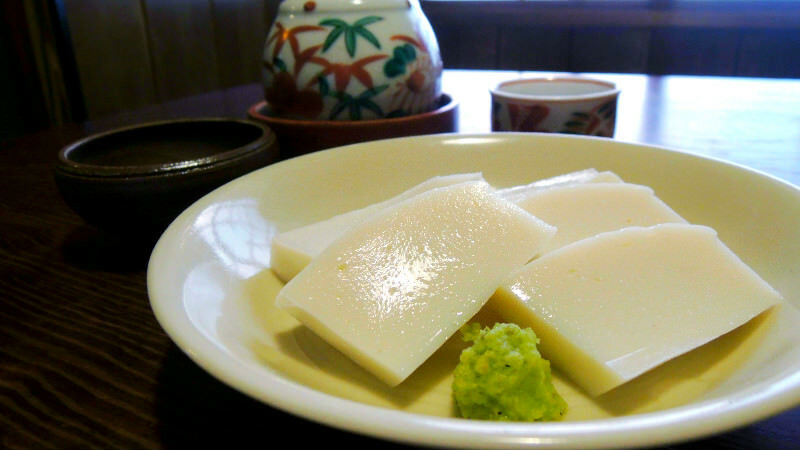 Itawasa is kamaboko cured surimi sliced and served with wasabi and soy sauce that you eat like you would sashimi; you dip the kamaboko into soy sauce mixed with wasabi. Itawasa is my number one choice for a soba restaurant snack. 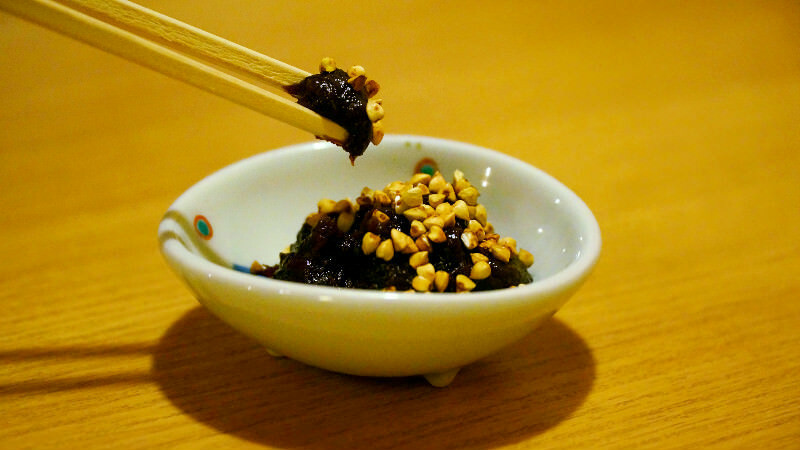 Sobamiso is made of ground buckwheat kernels mixed with miso, shichimi spice mixture, and mirin. The ground buckwheat kernels on top of the paste are roasted so they are fragrant and have a texture that resembles nuts. This texture is then countered by the sweet miso really bringing out the taste. Personally I rather like sobamiso. These snacks are perfect for eating while you drink the sake little by little. When you eat itawasa and sobamiso, I hope you will find yourself ordering a second cup of sake. 2Another cup of sake please! With a heavier side dish! Are you not satisfied with just one cup of sake? Don’t worry; I have something for the greedy ones out there. Chic soba restaurants have some heavier side dishes for you to enjoy with your second cup of sake. These soba restaurant side dishes are sure to go well with your second cup of sake. *Remember that this is all you eat before the soba is just to enjoy the soba more. My recommendation for the side dish to be eaten with your second cup is Japanese omelet. 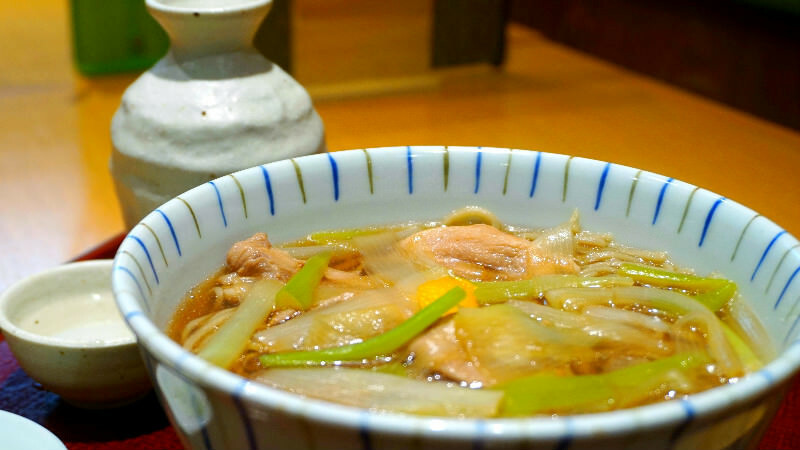 The taste is gentle and you can taste the dashi broth used in making it. 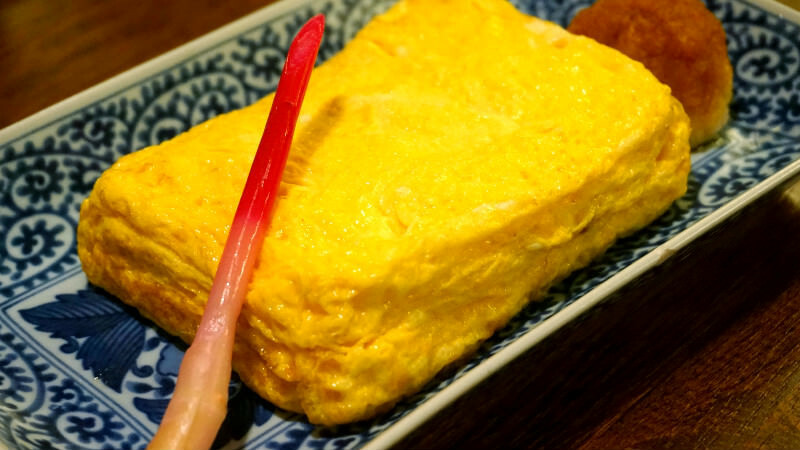 The thick omelet is soft but has some sponginess to it when you pick it up with your chopsticks. Japanese people are sure to order this classic. The omelet is not as light as the first snack, but not being too heavy, it should still leave you waiting for the main, the soba noodles. My next recommendation is duck. Soba restaurants often offer duck dishes like duck nanba noodles, or seiro, soba noodles on a bamboo basket served with duck, and they use really good quality duck. 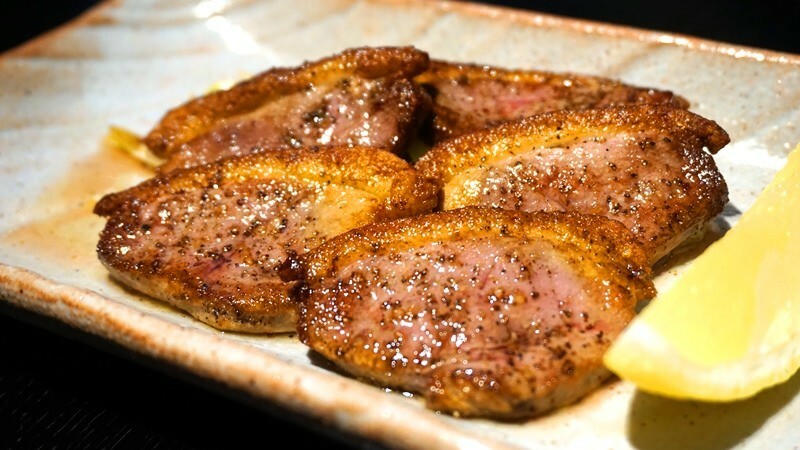 So duck at soba restaurants whether grilled or prepared otherwise, is always a good choice. 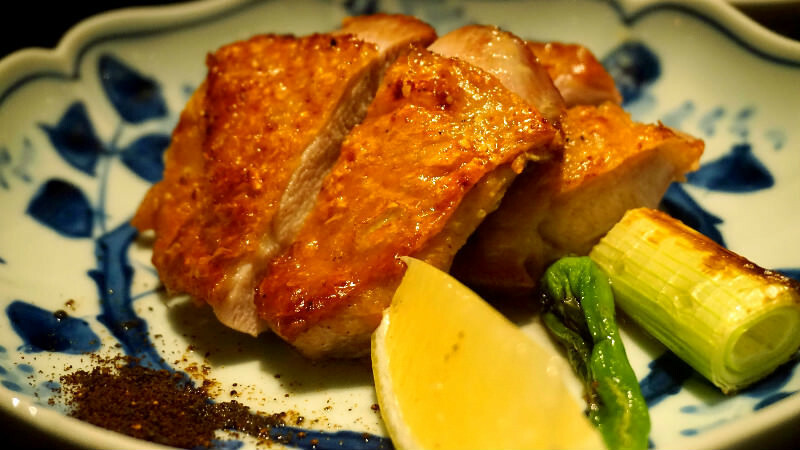 Dry sake should go perfectly with the fatty duck. After eating delicious snacks and side dishes and having drunk some sake, you should be slightly intoxicated. You should be feeling great. Soba eaten when you are like this has the best fragrance and taste. Time to have some soba! I hope you will start your soba adventure with zarusoba. Zarusoba is the most humble of the soba dishes; it is just some soba noodles on a zaru bamboo sieve and you then dip the noodles into a soup mixed with wasabi and green onion. To really taste the noodles themselves I heartily recommend you get this simple dish. Enjoy the special fragrance of the soba while you have a drink, and enjoy your soba-bar experience to the fullest. 4Finish with the boiling water of the soba noodles. Drink a cup and leave the place behind! Last, after you get your soba, you will get a pot of hot water. This water is in fact the water your soba was boiled in, and drinking this boiling water is a way to end your soba noodle experience on a high note. You cannot truly have experienced drinking at a soba restaurant without drinking this. The Japanese way is to drink the boiling water slowly, and after you have drunk it all, to jauntily leave the restaurant behind. Boldly leave the place behind, remembering that you have to be chic to the end. Soba boiling water is whitish water whose thickness depends on the restaurant. My recommended way of drinking this boiling water is by mixing some of the soup you got with your zarusoba into it. You can drink it as is, but depending on the restaurant drinking it mixed with the zarusoba’s soup might taste better. By drinking soba boiling water you get all the nutrients that escape from the soba noodles when they are boiled, so not only does it taste good, but it is also good for you! 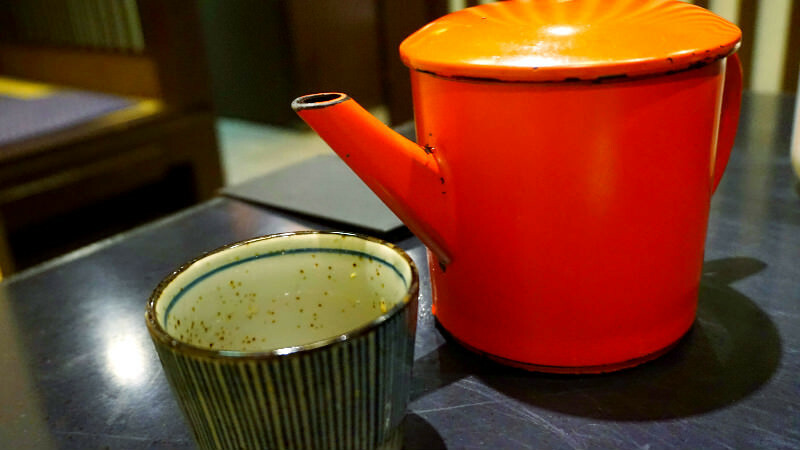 The best places to have soba and a drink! I just told you four tips on how to enjoy soba with a drink. Now it is time to end part two by telling you about the best restaurants to enjoy soba with a drink. I would like you to enjoy a different Kyoto by having soba and a drink before dark! Nakanokoan is a 5-minute walk from Hankyu Kawaramachi station, on Teramachi-dori Street. From outside Nakanokoan looks like a fancy restaurant, but inside the ambience is more like that of a calm, trendy, and modern bar. The restaurant is very different from other soba restaurants. The a la carte and drinks menu at Nakanokoan, famous for their chicken and drinks, offers an abundant selection. Nakanokoan is open from 11AM to 11PM, so it really is the perfect place for an afternoon drink with soba. After shopping in Kawaramachi, or after going to the shrines and temples around the area, I am sure you will find Nakanokoan, soba and sake, a pleasing experience. Sobanomi Yoshimura is a soba restaurant a 5-minute walk from subway Gojo Station, and they offer fresh, delicious soba and a la carte dishes. Currently they have 30 soba chefs working in this one restaurant, making soba by hand. They have many different types of fresh soba noodles, and the restaurant is right in the middle of Kyoto, plus they have an a la carte menu so it’ s no wonder the restaurant is popular. Sobanomi Yoshimura is open until 10:30 p.m. so the restaurant is perfect for a drink “sobayanomi” style. 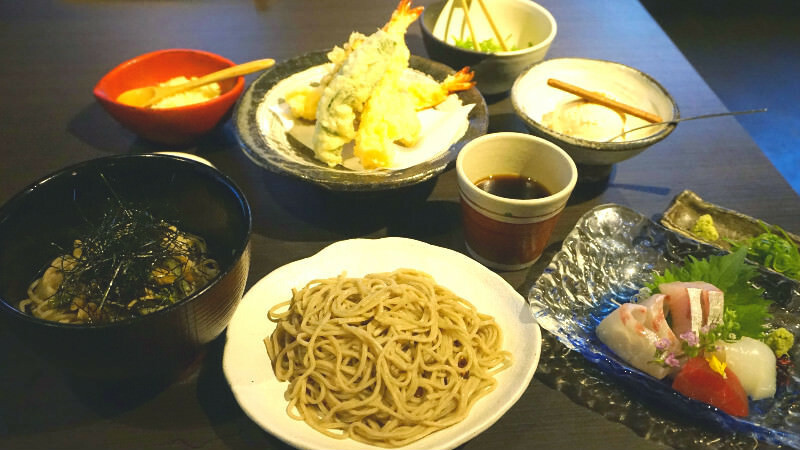 This restaurant is run by a couple devoted to soba, and they are famous for their kakiage mixed vegetable and seafood tempura. The restaurant is frequented by locals, and inside the restaurant you can feel at home. Many locals go to this restaurant to have some sake and snacks, to dine out in “sobayanomi” style. 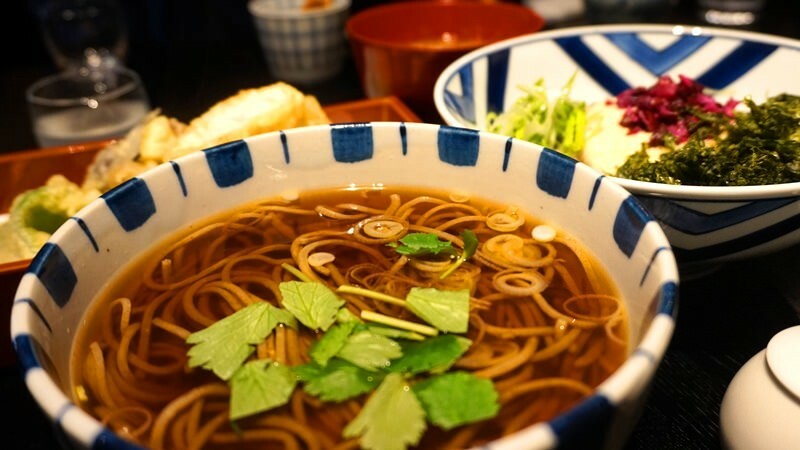 The restaurant might not be so easy to enter, but it is a chance to taste really good soba and see how the people of Kyoto really eat and drink “sobayanomi” style. How did you like my view on soba noodles and a drink Kyoto? The chic way of enjoying soba can be seen in the rules like ‘’Leave the restaurant jauntily after eating your soba” and “It is about the soba so don’t drink too much.” Personally I really like this style of drinking because even though it is an old style, it is still somewhat elegant and stylish. In the next part I will tell you about famous udon noodle restaurants. There are not only famous soba restaurants in Kyoto but there are also extremely famous udon restaurants with lines in front of them every day. Part 1The soba noodle restaurants you just have to visit in Kyoto! Part 2How about a drink with some soba noodles before dark? Part 3These are the udon noodle restaurants in Kyoto you cannot miss!